Trump's Changes To Funding Of Family Planning Clinics Could Undercut STD Fight : Shots - Health News Some public health officials fear Trump's move to change how the Title X family planning funding is handled may hurt the effort to cut the record number of sexually transmitted infections in the U.S.
Staff members hold an informal meeting before opening the STD free clinic in February in Portland, Maine. The CDC recorded more than 2 million cases of chlamydia, gonorrhea and syphilis nationally in 2016 — the highest number of reported cases yet, officials say. A Trump administration effort to shift family planning funding away from organizations that offer comprehensive reproductive health services, including abortion, could cripple federal efforts to stop a dramatic increase in sexually transmitted diseases in the U.S., some public health officials fear. "This is the perfect storm, and it comes at absolutely the worst time," says Daniel Daltry, program chief of the HIV/AIDS, STD and Viral Hepatitis Program at the Vermont Department of Health. In 2016, the most recent year with reported federal data, there were more than 2 million cases of chlamydia, gonorrhea and syphilis reported to the federal Centers for Disease Control and Prevention. It was the highest number of reported cases ever. This month, the Trump administration proposed new funding changes to the Title X program, which provides grants to programs in family planning, STD screening and breast and cervical cancer screening at nearly 4,000 sites nationwide. The program primarily serves low-income, young women, although a growing number of men also receive services at clinics that get Title X money. Title X funds have never been permitted to be used for abortions. But the president and other Republicans have vowed to cut off all federal funding for Planned Parenthood and other organizations that provide abortions. President Trump's new rules, if adopted in their current form, would require that Title X services be physically and financially separate from abortion services. Daltry and other public health officials fear these changes will make testing and treatment for STDs harder to get. Many family planning clinics are committed to offering comprehensive services, including contraception and abortion referrals, said David C. Harvey, executive director of the National Coalition of STD Directors, a membership group of public health department STD directors and community organizations. "These principles are near and dear to them," he says, "and if the changes are enacted we fear many programs would decide not to take Title X funding." And with less federal money, he says, these clinics would have fewer resources for STD screening, treatment and outreach. Young people ages 15 through 24 accounted for half of all new STD cases in 2016, according to CDC data. And at least one in 4 four adolescent girls who were sexually active had a sexually transmitted disease; many of those infected don't have obvious symptoms. STDs are generally easy to cure with antibiotics, but without treatment can cause serious, lasting health problems, including pelvic inflammatory disease, which can lead to infertility. Even if young people have insurance coverage through a parent's health plan, surveys show many avoid using that coverage, out of concern that their parents will learn that they've been tested or treated for an STD. 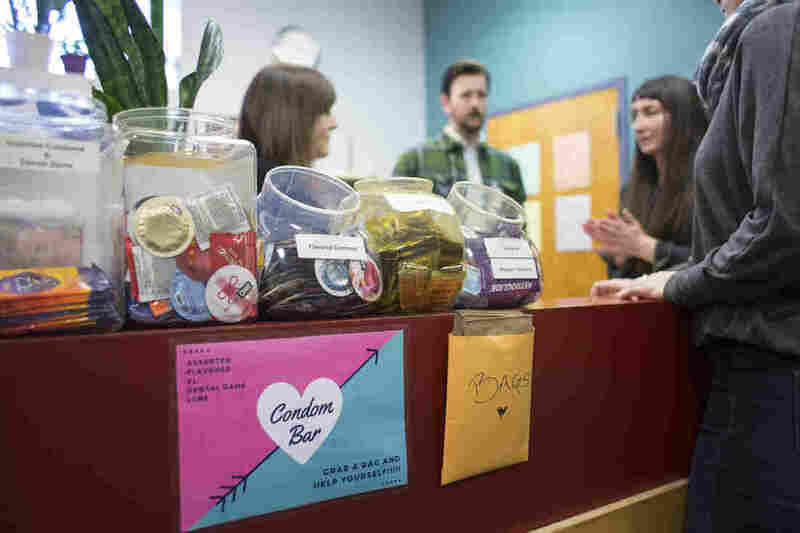 Instead, young people often take their concerns about STDs to a health clinic that gets Title X funding, where they can get confidential services and pay for the visit on a sliding scale, based on their income. The number of STD clinics funded by local or state governments has dwindled over the past decade, Harvey says, and many states now rely on other providers — such as Planned Parenthood -- for testing and treatment. With 12 sites in Vermont, "Planned Parenthood has operated as our STD clinic," says Daltry. Access to these clinics is very important, he adds, noting that while there are other providers throughout the state, they might not offer the same continuum of care. However, advocates of the Trump administration's plan point out that some new clinics may also now get Title X funding. Earlier this year, the administration made a point of encouraging providers that emphasize fertility awareness methods for family planning to apply for money. The Catholic Medical Association, for example, applied for Title X funding this year. According to a written statement from the organization, "The CMA supports all types of natural family planning; we do not support artificial contraception of any type; nor do we support abortion for any indication, but support appropriate treatments for both mother and baby as indicated by medical circumstances." Similarly, Dr. Anne Nolte, a family physician at St. Peter's Gianna Center, a gynecology and infertility practice in New York City, says doctors in her practice don't prescribe birth control pills or other FDA-approved methods of contraception. But "patients are welcome to come to us for STD screening and treatment," she says.